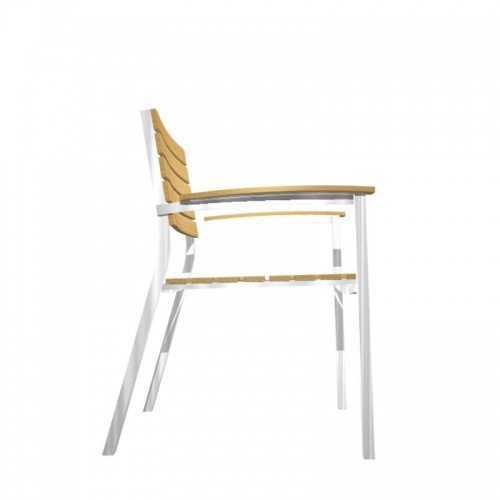 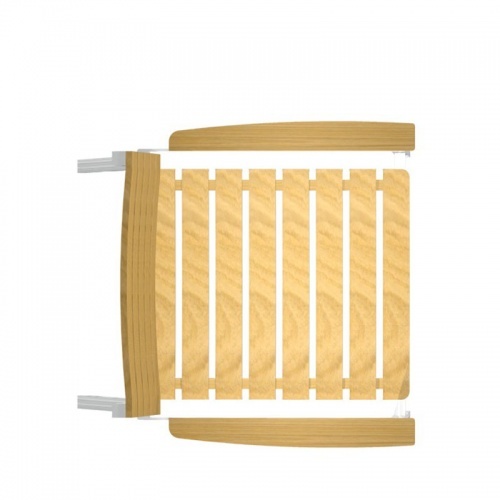 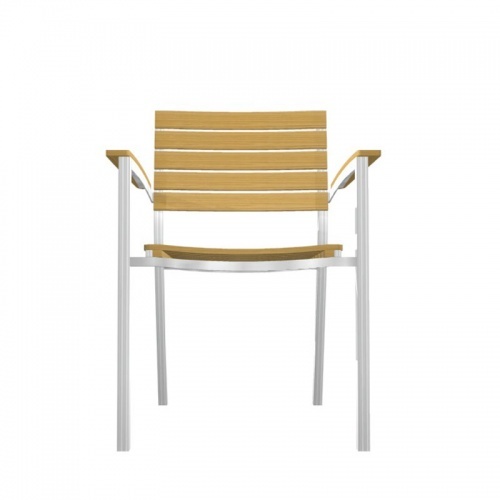 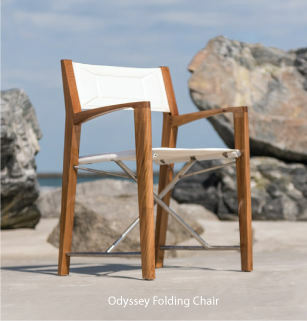 This Elle Stacking Teak Armchair is new to the Westminster Teak 2006 line. 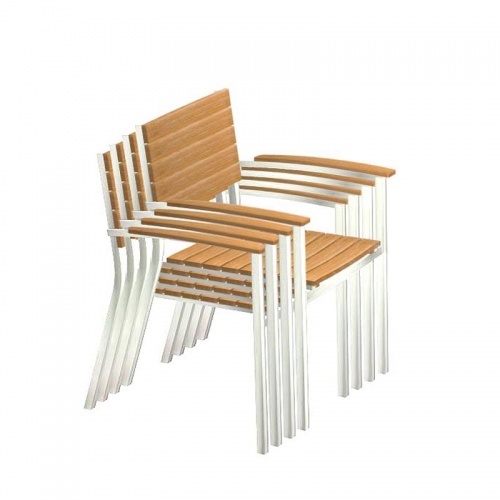 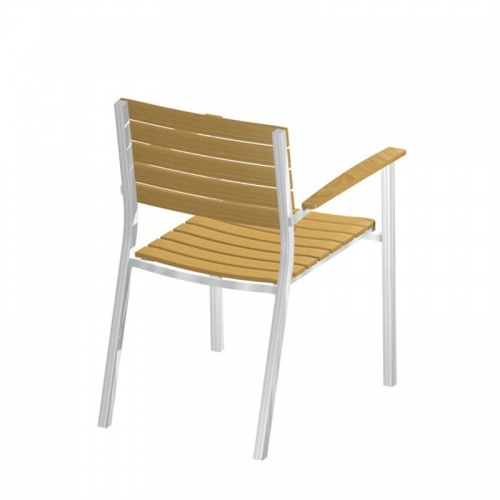 With its curved slat design and stackability, this makes for comfortable seating as well as easy storage. 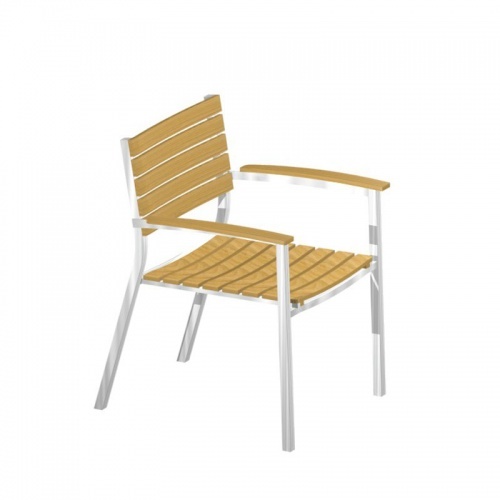 The design blends the beauty of teak with stainless steel. 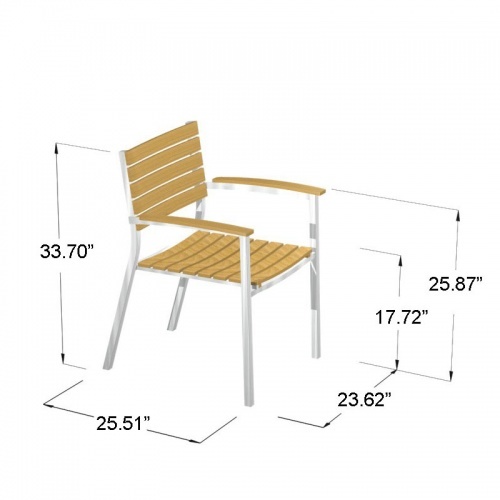 It is only sold in quantities of 4.